How early should I apply for my Vietnam visa? Posted by admin on May 19, 2012 in vietnam-faq | Comments Off on How early should I apply for my Vietnam visa? How long can I stay in Vietnam with my visa? Posted by admin on May 19, 2012 in vietnam-faq | Comments Off on How long can I stay in Vietnam with my visa? What is a 5-years visa exemption? Posted by admin on May 19, 2012 in vietnam-faq | Comments Off on What is a 5-years visa exemption? What is the advantage of the Vietnam loose-leaf visa? Posted by admin on May 19, 2012 in vietnam-faq | Comments Off on What is the advantage of the Vietnam loose-leaf visa? What is different between a regular visa and a loose-leaf visa? Posted by admin on May 19, 2012 in vietnam-faq | Comments Off on What is different between a regular visa and a loose-leaf visa? Vietnam government currently issues 2 forms of visas. Regular visa (so called visa sticker) is a visa that is glued in a page of your passport. Loose-leaf visa (also called a paper visa) is a 5x7in-size visa card that carries your photo, name, date of birth, passport number, nationality, and the duration of time you are granted to stay in Vietnam. Both these visa forms are the same valid and same fee. Posted by admin on May 19, 2012 in vietnam-faq | Comments Off on Who needs visa to Vietnam? Citizens of ASEAN countries (Thailand, Philippines, Malaysia, Singapore, Indonesia, Myanmar, Cambodia, Brunei and Laos) do not require a Vietnam visa to visit Vietnam if the stay is less than 30 days. Citizens of Korea, Japan & Scandinavian countries (Norway, Denmark, Sweden and Finland) do not require a Vietnam visa to visit Vietnam if the stay is less than 15 days. All others are required to obtain a Vietnam visa to enter Vietnam. 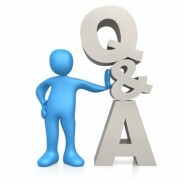 Posted by admin on May 19, 2012 in vietnam-faq | Comments Off on What is a visa? A visa is a document which gives someone permission to travel into a specific country and stay there for a set period of time. In general, visas are stamped or glued directly into a passport whereas some are separate document (so called loose-leaf visa) to be carried with the passport. Travers must apply for a visa before attempting to travel to a specific country unless their countries have reciprocal agreement to waive visa requirement.